A resounding post–Paris Agreement wake-up call about the urgency of the climate crisis that offers a range of practical solutions – and above all, hope. Climate change is the most important crisis humanity has faced, but we still confront huge barriers to resolving it. So, what do we do, and is there hope for humanity? The problem itself is complex, and there’s no single solution. But by understanding the barriers to resolving global warming and by employing a wide range of solutions – from shifting to clean energy to planting trees to reforming agricultural practices – we can get the world back on track. 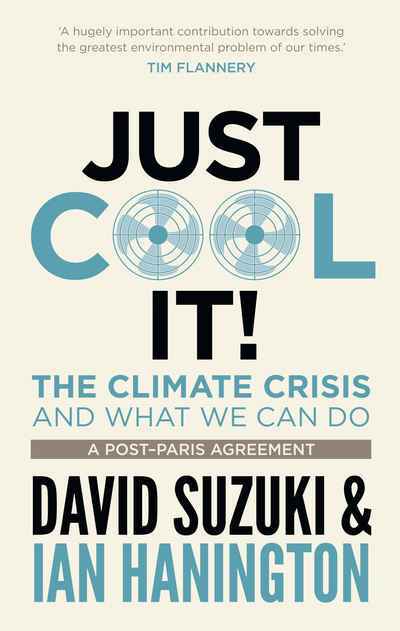 Just Cool It is David Suzuki at his most passionate and cogent. His urgently important book takes a comprehensive look at the current state of climate science and knowledge and the many ways to resolve the climate crisis, imploring us to do what’s necessary to live in a better, cleaner future. When enough people demand action, change starts happening – this time, it could be monumental.